This book is a Biblically based, fresh, and new way of looking at your own faith and how you can make it stronger. This book takes an intimate look at some of the things that should be areas of strength in any Christian's faith, but often are not. Not a critique only, but a practical how-to for improving your faith and allowing you a closer walk with Jesus Christ. So what is it about? 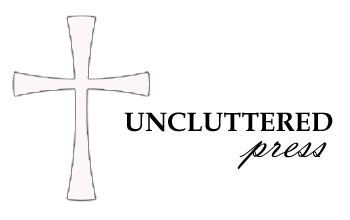 It is about ways to unclutter our faith. 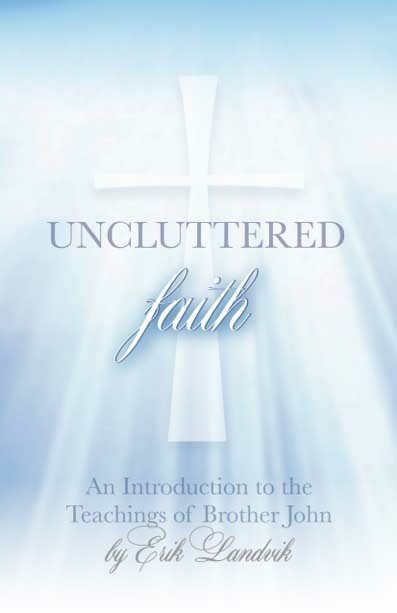 I know that all of us at sometime work with people in some sort of faith crisis and I hope that some parts of my book may be useful to you or them, because I know that many have asked, "How do I examine my faith, much less unclutter it?" There are many Christian quotes that play off of Socrates' admonition to examine our own lives. Is a faith unexamined really not worth having? How do we as Christians look at the various aspects of our faith and by what standards do we critique that faith? These are some of the interesting questions that I have encountered when working with people as a mentor and in my Life Coaching practice. Examining our faith is one of the organizing principles behind this book. The strength of this book is in its focus and where it takes us. Many of us sometimes wonder if we could do something more or differently regarding our faith. This book asks you in a provocative way to examine the things that may make a difference going forward in your faith journey. Some of my readers have told me that this book improves with repeated reading. Of those who initially objected to parts of it, many, upon processing and rereading, later came to understand and even accept those ideas. The profound conversation between Brother John and myself stimulates identification with the topics and application in one's own life. My hope is that some, or many of these topics and the conversation around them resonate with you spiritually. The true benefit of this book is it's potential when used in small groups. I have discovered that the conversations initiated in small groups from discussing this book have been truly impactful on the participants. It becomes a take off point to get struggling or less mature Christians fully engaged in meaningful spiritual discussions. This book is not meant to be part of the teach/learn paradigm, but rather an experience/share paradigm. As such, it opens up more opportunities for spiritual growth. I pray that you find it useful. Stay informed about this book and others.